Who gets the money when you tip? When you finish your dinner and lay down your fork, the story is just beginning. Last time, we explored a simple form of tip pooling. Today, we are going to look at the topic in a bit more detail. One thing that has always struck me is the number of servers who are convinced that any form of tip pooling is illegal, yet continue to participate in the system without complaint. This speaks to the culture of the industry, but more on that next time. One of the servers with whom I spoke asked not to be identified. Let’s call him Colin. In the restaurant where Colin works, all of the tips go into a central pool. “All of the money for that night goes into a pool and everyone gets their cut. A server is a full cut and a busser or hostess is a half cut,” he said. The first thing to notice about this system, unlike the standard tip out, is how the money everyone makes depends on the tips collected, not the evening’s sales. When a server tips out, it is a set percentage of his or her sales on the evening, regardless of the actual tips collected. Here, everyone simply shares all of the gratuities. This means that stiffing a table is not necessarily costing the server out of pocket. Instead, it is lowering the evening’s income for everyone in the room. Mark Taylor describes a similar system in his restaurant, Siena. “I don’t think people care if the person who took their order is the same one who drops off the food,” he says. Pooling all of the tips, Taylor says, is a way to make sure that everyone is invested in the customer’s experience. This forces a team mentality, rather than fostering competition. However, he is also careful to stipulate that this only works because the room is small. Part of the reason is that servers must communicate more. Otherwise, work will be duplicated, confusion will set in, and the whole exercise will end up being counterproductive. When Colin describes the system in his workplace, he also mentions how the kitchen gets its cut. “When we pool the tips, a portion goes to the house and that covers the kitchen.” In our conversation, it was unclear if the cut which goes to the house is only for the kitchen staff or if merely a portion of it goes to the kitchen and the house keeps the rest. So there is a question about the transparency of such a system. For example, servers in Colin’s workplace do not get a summary of the tips collected on the night. “I just pick up my money once a week,” he says. In fact, Colin is in a unique position, since he also acts as a manager some nights, and hence has access to the tip pool. Based on that knowledge, he assures me that the system in his workplace is honest. In fact, there is always a question about the transparency of a tip pool. There is often no way of knowing that the system is equitable and that the money all ends up where it should. Except for credit card or debit transactions, there is no way to confirm how much was made in gratuities over the course of a given evening. These system function largely on trust. As I mentioned at the beginning, many servers believe that tip pools are illegal. In conversation with another server who declined to be named, the topic was treated as almost moot. “Well, tip pools are illegal,” he says, shrugs, and continues talking about something else. He simply does not seem to care, beyond giving it a mention. 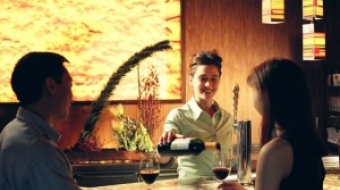 The Employment Standards Act also defines gratuities differently than wages. “While tips are considered income for income tax purposes, they are not wages for purposes of this Act,” is says. Even though they are not wages, employers are allowed to require that tipped employees pay into a central tip pool. Hence, both systems we have considered are legitimate. Even though tips are not generally classified as wages, “gratuities used to pay an employer’s business costs are deemed... to be wages under the Act,” says the Ministry website. Employers are not allowed to dock an employee’s pay to cover their own costs. So a server cannot be held responsible for things like broken dishes or spilled alcohol. Similarly, it is illegal to ask servers to contribute to a “dine and dash fund,” since this money would go to cover the employer’s costs. Under the Act, if an employer does require a server to pay for such things out of his or her tips, those tips are then considered income for the purpose of forcing the employer to reimburse them. Otherwise, they are not considered wages. Confused yet? Another wrinkle is that there exists a distinction between two types of tips. Direct tips are anything given freely from the customer to a worker. Controlled tips are different. According to restaurantcentral.ca, “All amounts paid out of the employer-run tip pool are considered controlled tips.” So any money which is mandated by the employer to be pooled and redistributed is considered controlled tips. So these tips are not considered wages. Remember that only tips used to cover an employer’s costs are considered wages, and even then it is only for the purpose of forcing the employer to reimburse the worker. But the way that they are redistributed makes pooled tips subject to the same payroll deductions as wages. Not only is this confusing, it is a rule I have never seen enforced, nor ever heard to have been enforced, over many years in and around the industry. Should it be enforced? Is it worth the resources it would take to police the industry? I can guarantee that no restaurant worker would ever want to see deductions taken from the tip pool. Of course, all of this leads to the big question: tax implications. This will be the topic for our final installment in this series. In the meantime, as always, I deeply appreciate all of your comments and emails. 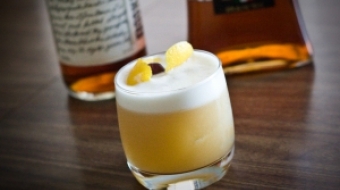 Amaretto/Bourbon Sour. A twist on a delightful classic. 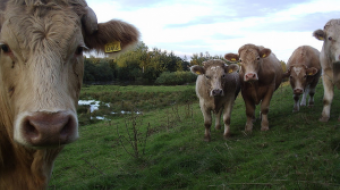 The recent beef scare has given British Columbia residents a lot to chew on. VO publisher Linda Solomon asked Facebook friends where to take a discerning New Yorker out to dinner in Vancouver to show off the city's best. Here's what they said. What kind of job is waiting tables? Does bad service still get 15 percent tip in Vancouver?